Signboards have emerged over the years & are no more manually painted or carved & the new age electronic presentations are known as Digital Signage. Having digital signage is a kind of investment and advertisement for any manufacturer to improve sales. There are several types of sign boards created by Sign Board Manufacturers in Chennai which supports to promote the products in an effective & easy way. 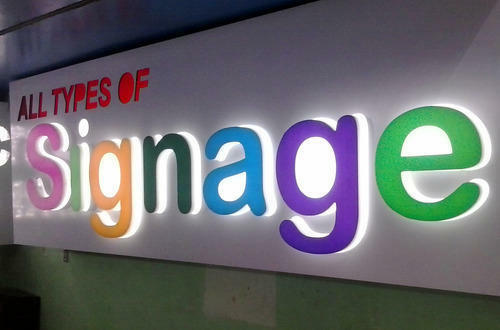 Some signboards don’t require any software or electric supply but few signages like LED signboards need. These signboards demand software which is the embedded touch screen to control & change the ads frequently. If the owners need to display a video or audio message, then they just unite the media player, content server, and digital signage together. The basic & most significant use of digital signage made by LED Sign Boards in Chennai is that it should increase your trades, profits and it should effectively build your market. It is a form of ad similar to or greater than TV or newspaper ads so it is very necessary to design it in an attractive manner. Powerful text, video & reputation contents with the automatic and frequent update are enough to drag the people or customers who look at it. Hi-Tech Vision are masters in manufacturing the Name Board Makers in Chennai with several types and materials. We help you to brand your products by our high quality materials. ← What is the Mechanism behind the functioning of LED Signage?